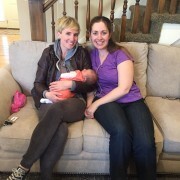 Curious what double doula care has to offer? Here are my top 5 reasons why you should consider hiring a team of doulas for your upcoming birth. 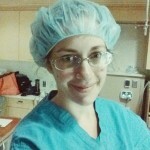 Now does this mean that a doula in a solo practice might not be the doula of your dreams? Definitely not! But these are some of the reasons I have chosen to offer my clients care in partnership with another doula. Ready? Here we go. With two doulas comes twice the amount of experience. 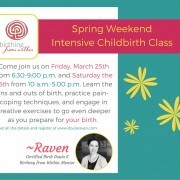 You will have access to so much education, training, and experience and this will help you approach your birth with confidence knowing that you’ve surrounded yourself with a great birth team. 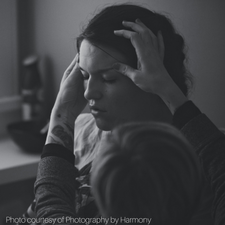 Beyond the great understanding of birth that a double doula team brings to the table is the skill set they bring with them to help you work through each contraction and stage of labor. One doula might have mad rebozo skills, the other might have hands that are made for applying awesome counterpressure. You don’t have to worry that you might be missing out on a particular comfort measure because your bases are covered. You know that counterpressure I just mentioned? Well, it takes a lot of strength! Even when your doula trades off the muscle work with your partner, it can get tiring pretty quickly. So why not welcome in a fresh pair of arms along the way? This keeps everyone happy, especially your hips and lower back! Imagine this: You’ve been working hard at this birth thing. Maybe it’s going a little longer than you had hoped. And then, in walks the second doula, ready to trade places with her doula partner. She’s well-rested, she’s excited, she’s ready to help. She kneels down by your side, touches your back, and lets you know that she’s here and that she’s so delighted to be in this space with you. You know her, you trust her. It’s just what you needed, like a breath of fresh air. And it does something to the energy in the room. The doula that’s been by your side gives you a hug and tells you that she’ll see you soon. You take a deep breath and get ready to ride the next wave. I love my clients. I think all doulas do. We form such a close bond and when I birth with them, I’m ready to attend to their every need and work with them through each surge. I am their cheerleader, their support, and their cheering section. You know what you get with a double doula team? More of all that lovely stuff. Doesn’t that sound nice? If you’re in the market for a doula, you might consider hiring a team of doulas. They might be just the perfect fit for your birth team.